Ever since that image of Rami Malek was released donning the moustache, sunglasses and white vest, everyone and their mother has been excited for the biopic of Freddy Mercury and Queen. But how was it overall? Let’s dive in. We’re doing a spoiler free review of Bohemian Rhapsody right now, but don’t forget to subscribe to our YouTube channel, like us on Facebook and follow us on Twitter and Instagram. There were rumours of unrest on the Bohemian Rhapsody set, particularly with star Rami Malek and director Bryan Singer, who came late to set multiple times and displayed erratic behaviour. He was actually fired from the project. More on that here and here. Most of the film had been completed by that point, and let me just say the cinematography was excellent. The sweeping camera movements during the concert scenes particularly those at Wembley stadium was great and showed such scale. It really immerses the audience and makes them feel like they’re seeing it live. The sound mix was superb, especially considering the fact that they mixed Malek, Mercury, and Canadian singer Marc Martel’s voices to create a seamless vocal performance that gave me goosebumps while listening to it. I honestly thought the prosthetic teeth worn by Malek was going to be distracting but it wasn’t bad. There were times I felt like his speech had been impacted by it, but overall it wasn’t too much of an issue. Malek does an excellent job of portraying the troubled yet free spirited Mercury, who fluctuates between egotistical performer and lonely artist coming to grips with his sexuality. 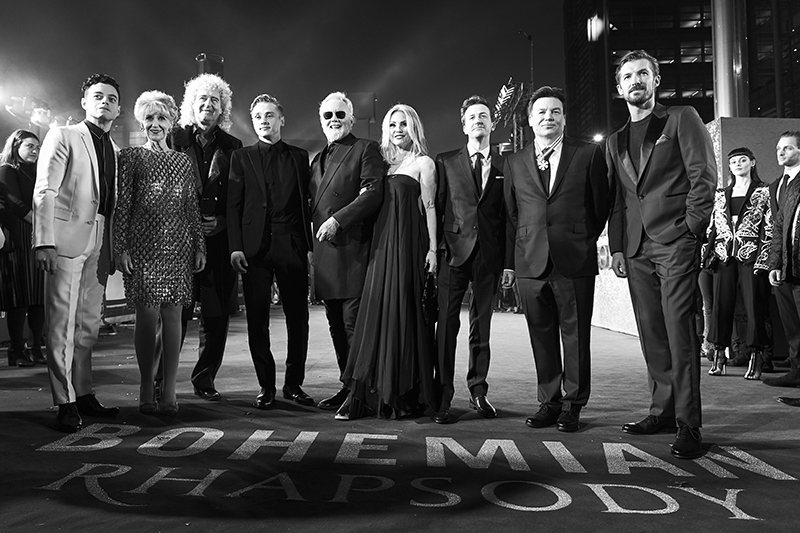 The rest of the Bohemian Rhapsody cast members who played the band members produce great supporting performances and the chemistry between them is quite evident. A subject of criticism is definitely the character of Paul Prenter, confidant of Mercury who leads Mercury down a destructive path. Whether this is a true account of what happened or not is up for serious debate, but Allen Leech – the actor who played Prenter – does such a good job at portraying the insufferable leech (pun intended) who exploits Mercury. We would be amiss if we didn’t talk about Mary Austin, played by Lucy Boynton, who holds a special relationship with Mercury and is the love of his life. The two of them shared such intimate scenes and were great to watch. Malek’s likeability and chemistry with everyone in the cast really adds to his performance. Biopics are tricky. People naturally expect everything to be fact, but that would be more suitable for a documentary, which this movie is not. The story came under criticism for getting some facts and timelines wrong, particularly involving climax of the film, but I tend to forgive biopics for this because in order for stories to be cinematic there needs to be a little creative license. Same can be said for movies like The Social Network, which was lambasted for being inaccurate, but is still one of the best stories I’ve ever seen on screen. Bohemian Rhapsody is no different. Considering that the film goes from the band’s inception all the way to their Live Aid concert performance – spanning a good few years – the film has a lot to cover. There was a fair bit of elliptical editing that made things move a little too quickly at times, especially in the first act, but I don’t think the pace was too disjointed. Bohemian Rhapsody was as good as I had hoped it would be. Because it is based on a true story, it is always going to be scrutinised for its historical accuracy. However, as a film, it is technically and artistically sound. The songs that are familiar to you, will give you goosebumps when the very first note hits, especially in the grand concert scenes which was so mesmerising to watch. Bohemian Rhapsody rocked us and gets an 8/10. 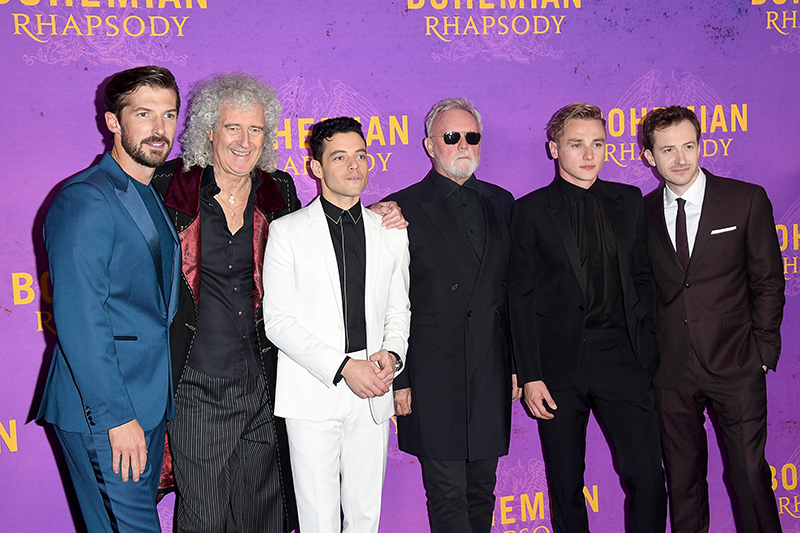 Catch Bohemian Rhapsody in South African cinemas on 30 November.